Another easy week for me. This book is a pattern only book and not one filled with text and technique. 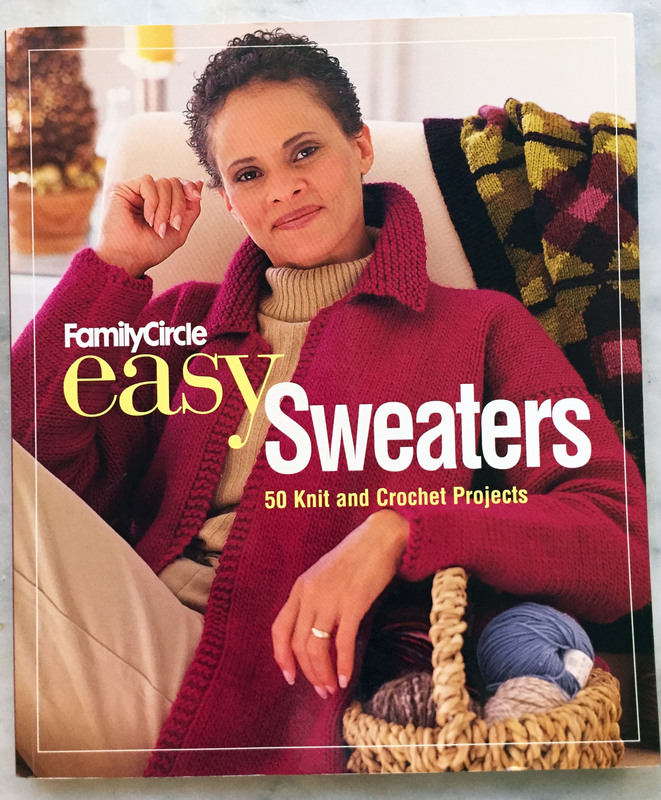 With 50 knit and crochet projects, this book is a good value. It’s just not a book that needs to be on my shelf. On a positive note, I’ve sold 19 books on Amazon so not only are some of my removed books off the shelf, they are gone, gone, gone! 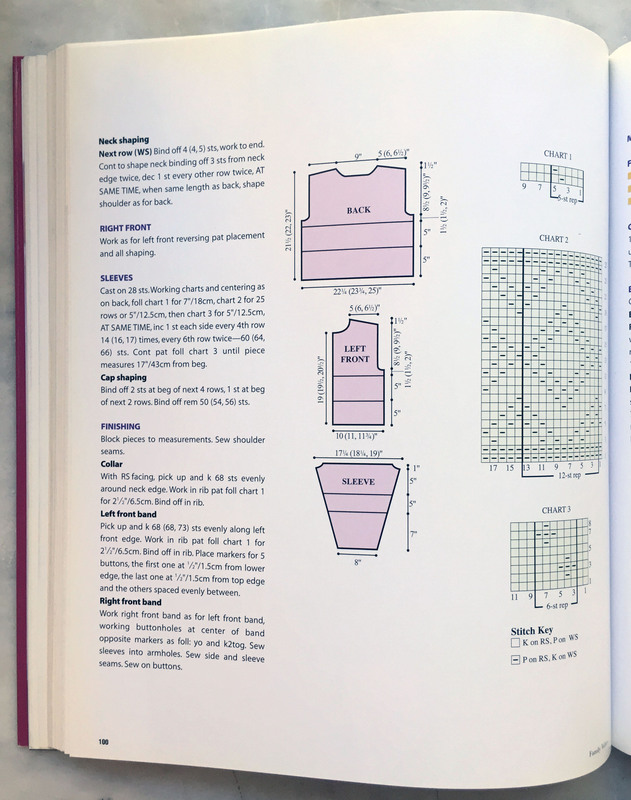 This Sixth and Spring 2001 book is nicely photographed and has really clear, easy-to-understand patterns with good schematic drawings and charts. Here are a few of the nicer patterns. 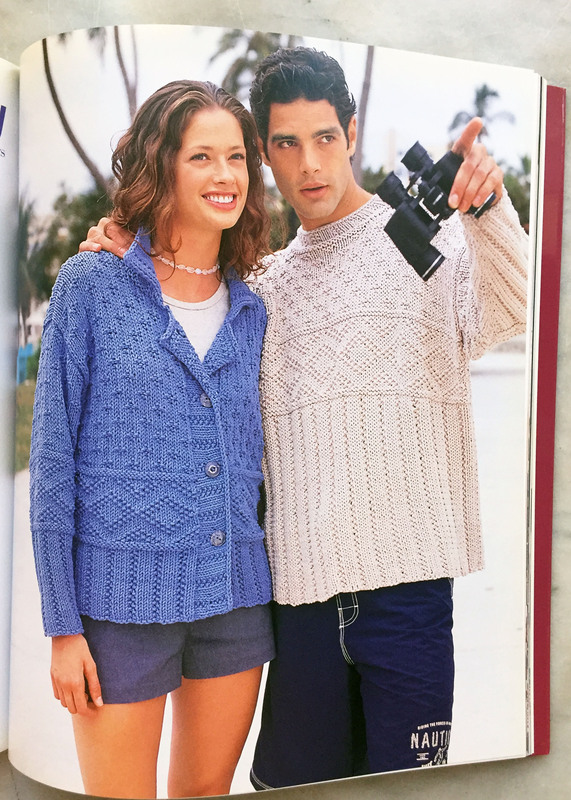 Most sweaters are for intermediate knitters and crocheters, with a few easy designs. 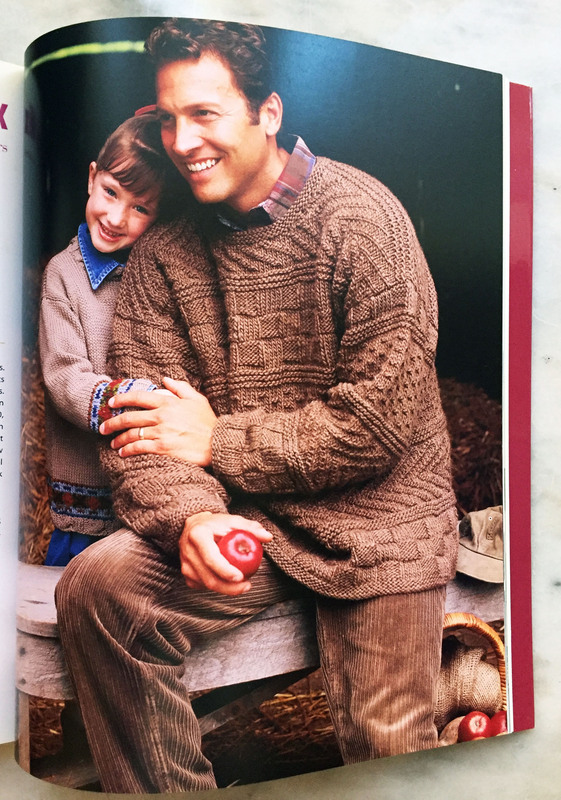 There are sweaters for kids, mainly as duos with Mom or Dad and none for babies. Some of the yarns are discontinued, but should be easily substitutes. Bye-bye Family Circle. This getting easier after almost 2 years of blogging! 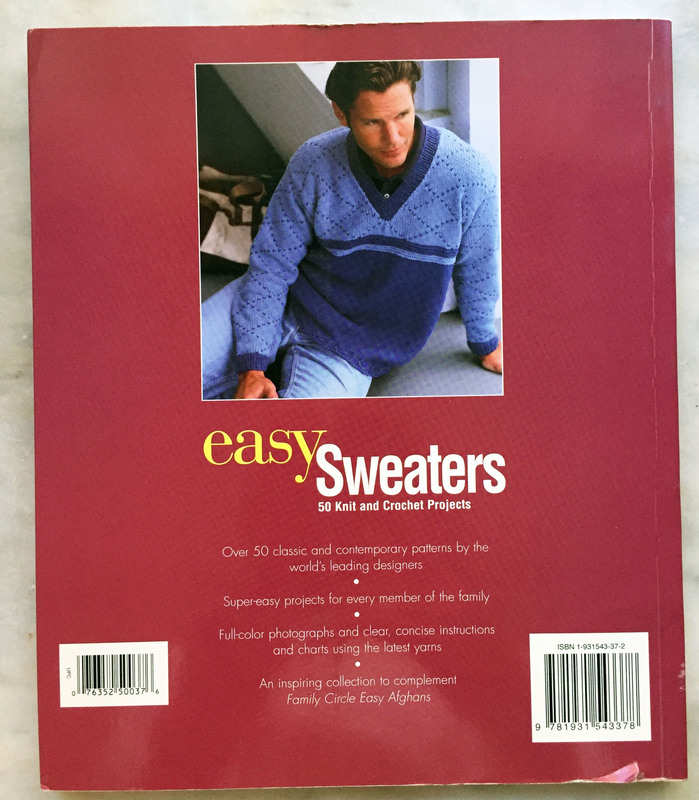 This entry was tagged cabled sweaters, crochet sweaters, Family Circle Easy Sweaters, knit sweaters, texture patterns. Bookmark the permalink.